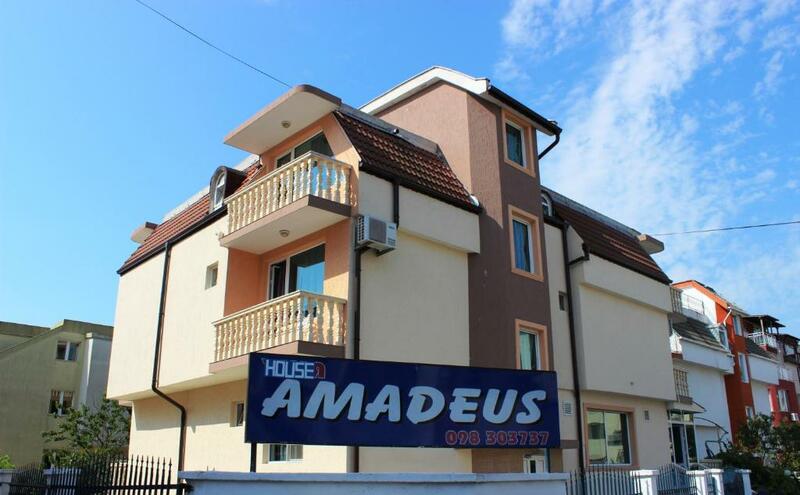 Lock in a great price for Villa Amadeus – rated 9.4 by recent guests! 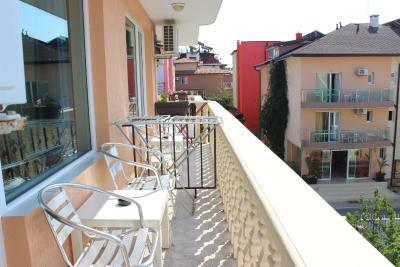 The location is very good and calm , 30 steps from the beach. The staff was very friendly and helpful , breakfast was delicious ! The beach is perfect for small children , no waves . Free parking in front of the hotel. Plenty of restaurants a short walk . Очень приветливый персонал. Уборка проводилась ежедневно. Завтраки прекрасные на выбор. la situation géographique. Le balcon donnant sur la mer. La gentillesse des hôtes. Le succulent petit déjeuner différent chaque jour. La place de parking gratuite devant l'hôtel. Чудесен хотел,в близост до плажа,гостоприемни собственици.Всяка сутрин се предлагаше добра закуска и ароматно кафе поднесени с усмивка.Хотелът разполага с паркинг ,наблизо има магазинчета,барове,ресторанти.Стария град е на 5 минути с автомобил.Препоръчвам хотела за спокойна почивка! Отлична локация, всички необходими удобства и топло посрещане и обслужване.Препоръчвам на всички желаещи спокойна и хубава почивка. Удачное расположение, море буквально рядом. Уборка номера каждый день. Смена белья и полотенец через каждые 2 дня. Вкусные разнообразные завтраки с фруктами. Рядом небольшой супермаркет. Доброжелательные и гостеприимные хозяева готовые всегда помочь, домашняя обстановка. Кондиционер и маленький холодильник работали отлично. Большое спасибо!!!!! Villa Amadeus This rating is a reflection of how the property compares to the industry standard when it comes to price, facilities and services available. It's based on a self-evaluation by the property. Use this rating to help choose your stay! 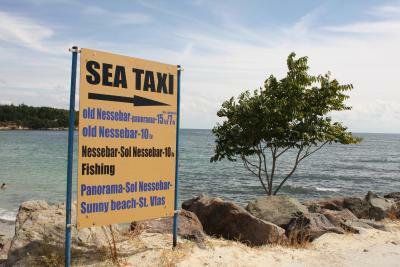 One of our best sellers in Nesebar! 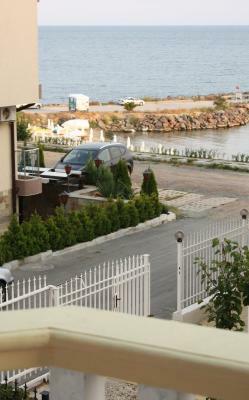 This villa is 100 feet from the beach and a 10-minute walk from the center of Nessebar. 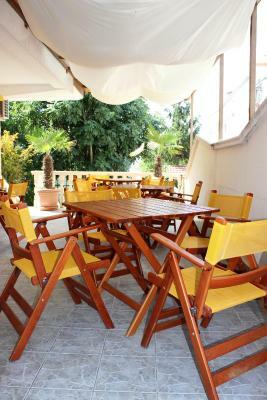 Villa Amadeus offers free Wi-Fi, a rooftop terrace and beautiful grounds with barbecue facilities. Rooms at Villa Amadeus Nessebar feature modern décor and laminate floors. 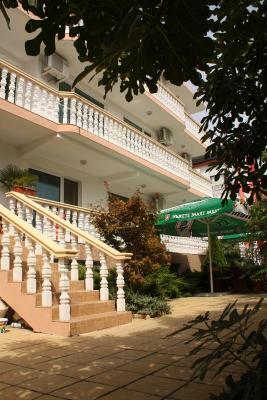 All rooms are air conditioned and include a TV, private bathroom and a balcony. 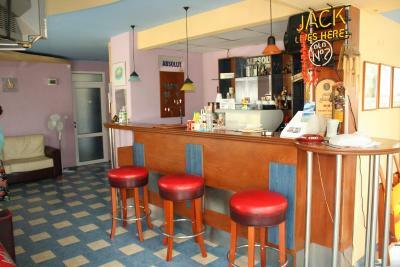 Breakfast is provided each morning at Villa Amadeus, and guests are welcome to relax in the bar and lounge. Nearby restaurants serves Bulgarian and fish dishes. 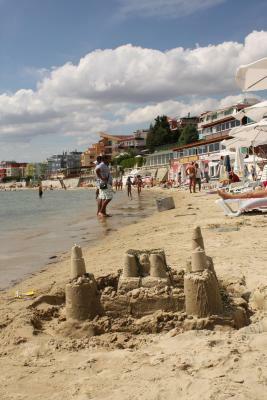 Villa Amadeus is 1.5 miles from the historic district of Nessebar, and 2 miles from the Nessebar Aquapark. Private tennis lessons are available 300 feet away, and guests can take part in water sports on the nearby beach. 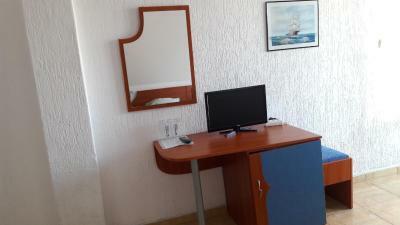 The front desk at the Amadeus can arrange bike rental, car rental and an airport shuttle. On-site parking is free. 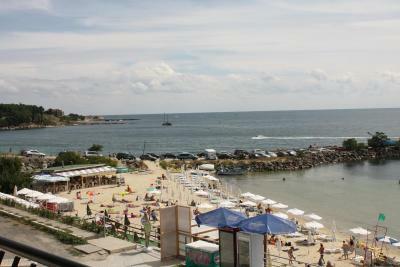 This property also has one of the top-rated locations in Nesebar! Guests are happier about it compared to other properties in the area. When would you like to stay at Villa Amadeus? 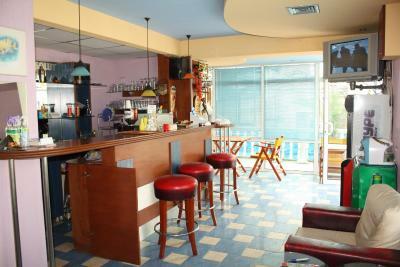 Air-conditioned room with a balcony, cable TV, mini-bar and a private bathroom with shower. Free Wi-Fi is available. Air-conditioned room with balcony, cable TV and mini-bar. Villa Amadeus offers a cozy cafe at affordable prices with a beautiful garden, where you can indulge in a relaxing holiday amidst the greenery, while your children are having fun on the attractive playground. House Rules Villa Amadeus takes special requests – add in the next step! Villa Amadeus accepts these cards and reserves the right to temporarily hold an amount prior to arrival. Internet speed was not so fast .